You are probably aware of all the risks browsing the internet including, malicious URLs, phishing attacks, annoying toolbars or plug-ins. Hackers are able to hack your browser and add intrusive extensions, track what you do online, see your personal information and files on your computer or manipulate search results. As a result, your browser becomes slower. In order to avoid these kinds of browser threats and attacks, security providers established browser cleaners, tools that can improve your browsing online. It is an advanced tool which makes your experience on the Internet safer and quicker, by improving your Web browser’s performance. 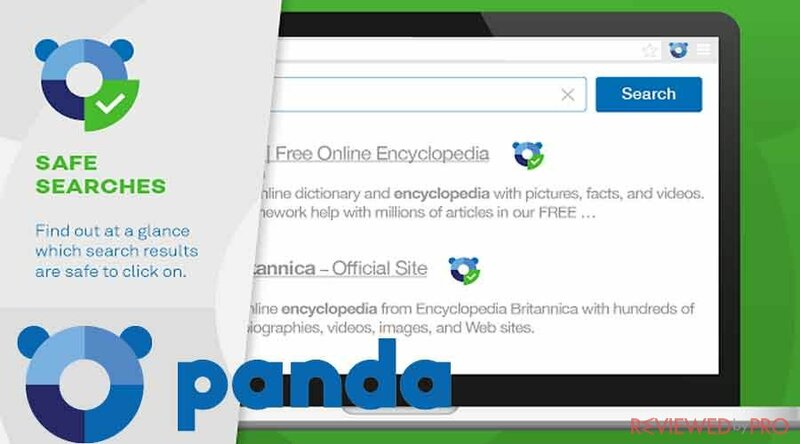 So how does Panda Safe Web boost your Web browser’s performance? Panda Safe Web gives detailed information about the websites you are going to visit. In addition, it automatically blocks malicious and dangerous sites. Panda Safe Web also rates your search results according to the level of security. This way you will find out which websites are safe to click and which are not. This feature is compatible with Google Chrome. The security tool also protects your Web searches by identifying tracking sites and blocking the access to them. As a result, no one will be able to track your Internet activities, such as visits, downloads or purchases. From now on you can browse the Internet knowing that your private data is secured and kept away from prying eyes. This feature is available for Google Chrome. Once you install Panda Safe Web you get a free access to Panda Security’s best of breed tools in order to disinfect computers and create a rescue USB that is capable to clean up infected computers. In addition, you will also receive tips and advance from Panda Security experts on how to prevent cyber attacks and other threats. This feature is available for Internet Explorer and Mozilla Firefox. The browser tool also is capable to restore your browser to its original condition by getting rid of all unwanted toolbars and plug-ins that were installed without your permission. As a result, your Web browser will be optimized and will show better performance. This feature is available for Internet Explorer. Panda Security is a Spanish-based company that specialized in IT security software. The company was founded in 1990 as the antivirus software provider. Since then it has expanded and today Panda Security also provides advanced cybersecurity services with technology for preventing cybercrime. Restore your Web browser to its initial state. Avast Browser Cleanup will remove dangerous and annoying extensions, toolbars, and hijacked searches. 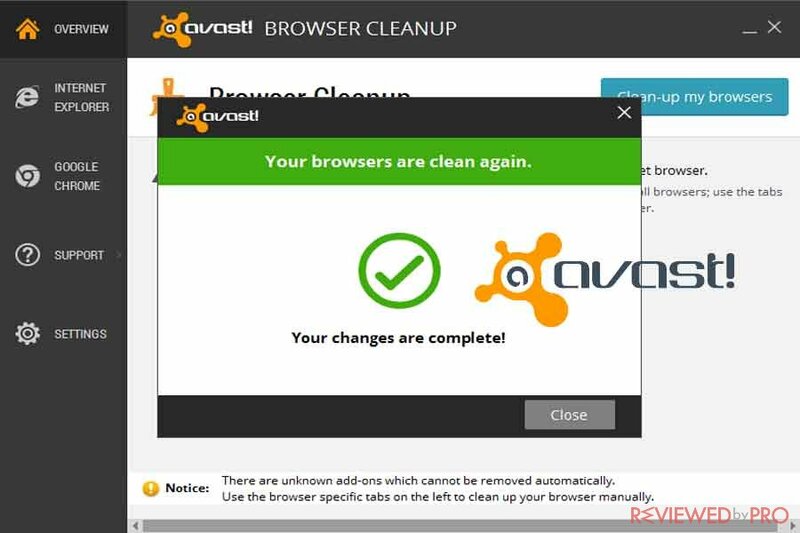 What does Avast Browser Cleanup offer? Avast Browser Cleanup removes bad add-ons and makes you safer. In addition, removing bad add-ons will speed up your browser and the whole PC. What is worth to mention, that Browser Cleanup gets rid of only bad reputations add-ons and you can still enjoy the good ones. Browser Cleanup also will restore search setting so you can see untampered results and stop funding obscure software vendors. Avast Browser Cleanup is compatible with Mozilla Firefox and Internet Explorer. Avast Software is a Czech multinational security software provider. Avast develops antivirus software and internet security services since its foundation in 1988. Today Avast is one of the largest companies in security software industry in the world. The company is known for its next-gen technologies created to fight cyber attacks in real time. Avast provide security solutions for home and business use, for computers and devices that run Windows, macOS, Android, and iOS. The tool is designed to get rid of adware and restore your computer’s performance by removing obnoxious apps that possibly can slow down or impede your operating system. 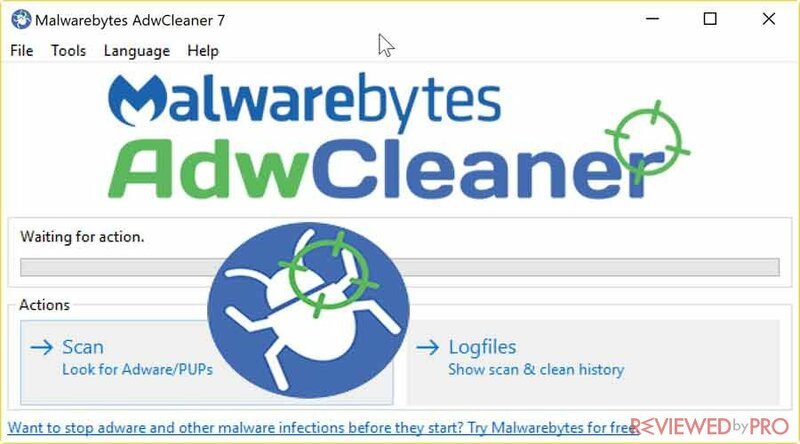 If you install Malwarebytes AdwCleaner you won’t have to deal with adware, unwanted toolbars, browser hijackers and other PUPs anymore. It cleans your computer and improves its performance! Its functionality includes PUPs, toolbars, and adware removal. The program is very lightweight and collaborates with other security applications, so it won’t have any negative impact on your PC. Malwarebytes is an American-based security company that specializes in security software for home computers, smartphones, and businesses. The company was established in 2008 and since then successfully protects its customers against malware, ransomware, and other cyber threats. Malwarebytes applies several proprietary technologies in order to provide security its customers can trust and rely. 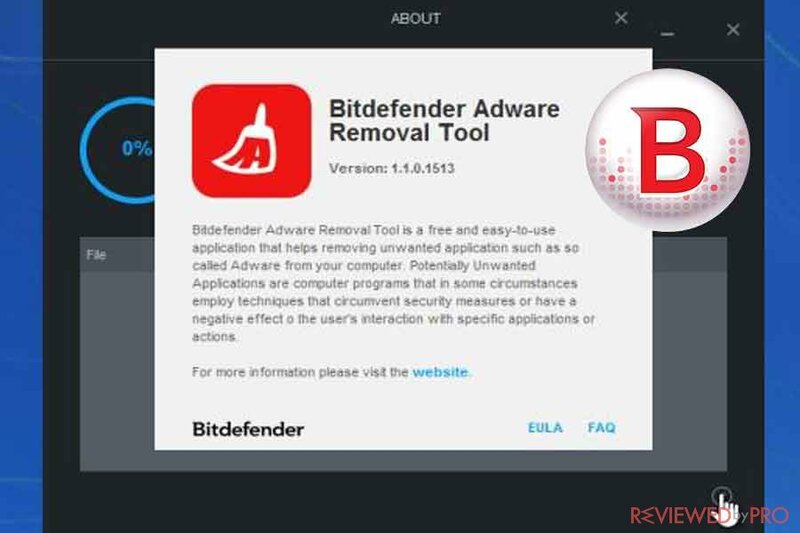 Bitdefender Adware Removal tool is completely free and gets rid of any annoying adware, malicious hijacker programs, toolbars and other browser add-ons that were installed without your permission. How does Bitdefender Adware Removal Tool for PC work? The Adware Removal Tool scans your PC for adware at the same time it produces a list of applications that are recommended to remove. Using Bitdefender Aware Removal Tool you will be able to choose which programs you want to keep. The tool identifies any suspicious or malicious adware installed on your PC. It is not easy to detect and locate all the junk applications on your PC, but Adware Removal Tool will detect all the adware you need to remove. Remove annoying ads and improve your browser performance. Adware applications can have a noticeable impact on your browser speed and also attempt to trick you into clicking on suspicious links. Bitdefender Adware Removal Tool will eliminate the source of adware and will allow you to browse the Internet without annoying interruptions. Bitdefender was established in 2001. It is a Romanian cybersecurity and antivirus software company that provides security solutions for individuals, smart home, small businesses or large enterprises. In order to provide the best security performance, Bitdefender uses advanced technologies that include machine learning to avoid phishing attacks and other types of false content. Today Bitdefender has over 500 million customers in over 150 countries across the globe. ^ Panda Safe Web. Panda Security. ^ Avast Browser CleanUp. Avast. This entry was posted on 2018-01-04 at 09:13 and is filed under News.